Whether you’re a fan of Star Wars or not, you’ve probably heard that the latest trailer for Star Wars Episode VII debuted on October 19; and let’s just say that it was kind of a big deal. First of all, it caused me to actually look forward to a Monday. Truly historic. Secondly, the trailer went viral almost immediately and sites selling movie tickets were out of commission for most of the night. I know this from personal experience because I spent over an hour refreshing a website to secure myself an opening day ticket for my local theater. It was a do or do not moment because the internet literally wouldn’t let anyone try. In the end, I did secure myself a ticket for an early showing on December 17. (Yay!) Walt Disney World even offered a special Force Awakens Opening Night Event, which sounds awesome! But let’s get to the important stuff. The trailer. This new trailer followed two Force Awakens teasers and revealed the most information about this much anticipated upcoming film. Director J.J. Abrams has done a remarkable job keeping most of the story under lock and key, but that hasn’t stopped fans like myself from piecing together some important points. Lastly, and listen to this my fellow Disney Parks Fans, I believe the teasers, and particularly this new trailer, show a glimpse of what will Star Wars Land will be! So let’s take this step by step and break down what we know now about The Force Awakens, what we still want to know, and what clues to Star Wars Land we’ve gained from the teasers and trailers in Questions and Observations from the Star Wars: The Force Awakens Trailers. Warning: Possible SPOILERS Beyond This Point. Star Wars Episode VII: The Force Awakens takes place 30 years after Episode VI: The Return of the Jedi. In this postwar world, the First Order has seemingly replaced the Imperial Empire but a the Resistance is acting as the new Rebel Alliance. The film includes the original characters: Han Solo, Princess Leia, Luke Skywalker, Chewbacca, and the droids Threepio and Artoo; but the story focuses on four new characters. The first is Kylo Ren, a masked villain who seems to be part of the First Order, wields a red lightsaber with a crossguard, and who has a fascination with Darth Vader. The second is Rey, a desert dweller who scavenges the wrecked starships left over from the original films and who is swept into this adventure with Finn, a storm trooper who seems to have gone rogue and ends up in the possession of a familiar blue lightsaber… (Hmmm…) Lastly, there’s an X-Wing pilot named Poe Dameron who is part of the Resistance. The desert scavenger Rey has been featured a lot in the teasers and trailers and it’s clear that she’s integral to the storyline; but in the newest trailer, she is asked who she is and answers that she’s nobody. Yeah… That’s so not true and the fact that is little convo was featured in the trailer proves that it’s not. In fact, it proves that she is indeed very important. I see many Rey costumes and merchandise in the Disney Parks in the years to come. Luke’s blue lightsaber, which once belong to his father, Anakin Skywalker, is huge fixture in the Force Awakens. Some believe that it may be the object the First Order is hunting for and why Rey and Finn are seen running for their lives on the desert planet of Jakku. What’s most interesting is that this lightsaber was lost when Darth Vader cut off Luke’s hand in The Empire Strikes Back. How this new group of characters comes to find it and why the First Order appears eager to get it is yet to be seen; but from what we know, it’s acting as the catalyst of his story, just like the Death Star plans did in A New Hope. So yeah, even though the red lightsaber with crossguard is going to really popular, the classic lightsaber isn’t going out of style anytime soon. In the new trailer, we get a glimpse of Kylo Ren in the rain surrounded by a group of formidable individuals who don’t look like storm troopers. From what I could tell, one of them had a mask similar to Kylo’s. Are they familiar with the Force too? Do we have a group of Sith Lords here? Is that possible? Someone help me here, because this posse has me as nervous as Threepio on his way to Jabba’s Palace. So we have to have a climatic lightsaber duel. After all, this is Star Wars, right? In the very first trailer, we got a glimpse of Kylo Ren in a dark, snowy forest with his red lightsaber. In the newest trailer, we actually see him in the same place, lightsaber in hand, and facing off with Finn who’s wielding Luke’s blue lightsaber. This is where it will get epic, people. You heard it here first. So Rey’s last name has not been released. (Strange this is, no?) Since all the Star Wars films center around the Skywalker family, it would make sense that Rey might be Leia and Han Solo’s daughter. Another theory is that Kylo Ren could actually be part of this famous Force family too. After all, he knows about Darth Vader and has a clear grasp of the Force. How would he know about all of this unless he was part of the family? Secondly, Darth Vader’s real name was Anakin Skywalker so it would be plausible that Kylo Ren may not be this individual’s true name. Is That Planet a Death Star or Is that Death Star a Planet? 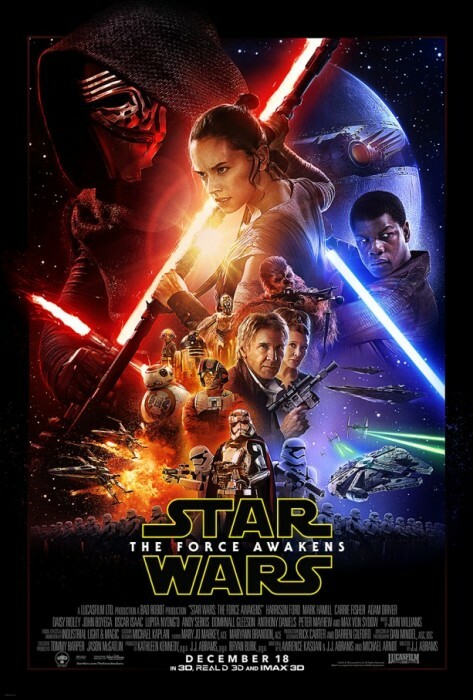 One of the most pressing questions since the official poster was revealed was where’s Luke Skywalker! We know he’s part of the cast, but he’s no where on the poster. (I hope Han won’t have to go out and search for him again. That poor Tauntaun…) Anyway, we’ve heard his voiceover in the second trailer, which is a relief, but I wonder if we have seen him already and just didn’t know it. Remember that hooded figure who places a mechanical hand on Artoo from the trailers and teasers? That shot is always shown at key moments so far, hinting that it could be Luke; and Luke does have a mechanical hand due to a face-off with Darth Vader in The Empire Strikes Back. Most fans think that he may be hiding out, similar to what Obi-Wan Kenobi did in A New Hope; and if so, that explains why we haven’t seen more of Artoo. In the new trailer, we see a clip of Rey crying over what looks like a person. It’s almost impossible to see just who it is but it certainly looks as if someone has died. If so, then who? Could it be…Han Solo? I hated to even type that possibility, but it would raise the stakes and these new films are going to focus more new characters than old. Another possibility is that it could be Finn. I feel a disturbance in the Force, how about you? What Do We Know About Star Wars Land? Okay, so in the teasers and trailers, we’ve been getting little glimpses of a lush, green planet with hills and a lake and what looks like a base. Some have thought, and so have I, that this planet was possibly Endor or even Yavin 4. But after seeing the new trailer, I don’t think that’s the case. In fact, I think that planet is Star Wars Land! Now this is purely speculation, it hasn’t been confirmed, but I was thinking back to when Star Wars Land was confirmed this past summer for both the Disneyland Park and Disney World’s Hollywood Studios. 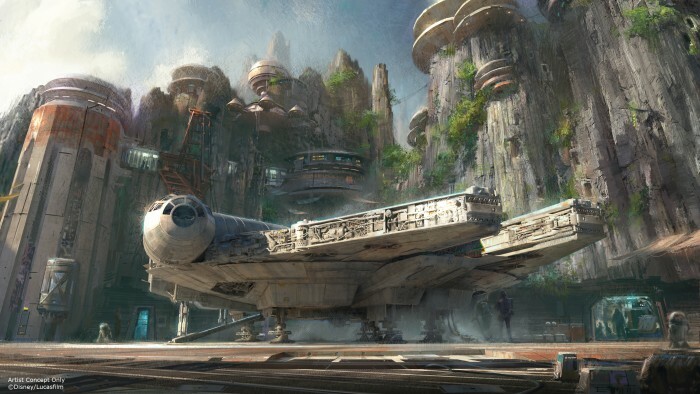 The Disney Parks Blog said that Star Wars Land would feature a never-before-seen planet. Clearly, this means a planet from the new films. The concept art for Star Wars Land looks very similar to the lush planet we saw in the trailer. If you weren’t convinced already, the Millennium Falcon is a centerpiece in the Star Wars Land concept art and it can briefly be seen on this new planet in the trailer too! Finally, it looks as if the First Order and the Resistance will have a battle on this planet, and the new adventure slated for Star Wars Land claims that guests will be put right into a battle between these two sides. So I could be wrong, but it certainly looks as if we’re going to see some of what Star Wars Land will look like when the film hits theaters December 18th. Bet you want to watch the trailer again right now, don’t you? So that’s an overview of what we know about the film, what intriguing questions still remain, and what clues the teasers and trailers offered about Star Wars Land. But what do you think? 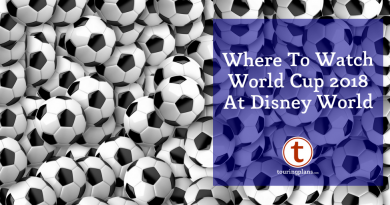 Do you believe the trailer offered us a glimpse of this much-anticipated addition to the Disney Parks? Are as excited as I am to see Star Wars: The Force Awakens? What’s your opinion on those questions I raised? Let me know! A little more information and some speculation. The Ren part of Kylo Ren is like the Darth part of Darth Vader and he is part of an order call the Knights of Ren. The other people we see with him are other members of the same order. Harrison Ford has commented in the past (before the Force awakens was a thing) that he wanted his character to be killed off in Return of the Jedi. Maybe getting killed off in the new movie was his condition for coming back for one last hurrah.Freeze framing the image though, it looks as though it could be chewbacca from the size and shape of him. Or this could be a red herring. Luke/Mark Hamill has been notably absent from posters, trailers and conventions, possibly to keep direct questions to a minimum. Jamie, thanks for sharing this info! Very interesting about Mark Hamill and a good point. Btw, I freeze framed the trailer image where someone dies and I too can see that it could be Chewie. But I hope we’re wrong, that would be so sad! Warning: may be potential spoilers, but I’m basing all of this just on what I’ve seen in the trailers. I’m fairly certain Han will die. Since so much of Star Wars is based on the work of Joseph Campbell, there will be a mentor and said mentor will die. In Episode IV, that was Obi Wan. In Episode I, that was Qui Gon. Because of the prominent role Han has played in the previews, leading Rey and Finn into the temple thing, for example, HE is the mentor in the new movie, not Luke, and so he will die. And Chewbacca will be the sidekick for the three new heros. Further random speculation, Kylo Ren clearly knows how to use a lightsaber. Finn looks kind of clueless with how to use Anakin’s/Luke’s saber. If there is a duel, Finn is sure to die–unless a third, GREEN lightsaber enters the battle. I think that scene is where Luke will make his dramatic return. Neil, your theory about Han makes a lot of sense! The trailer does portray him as the mentor and they do always die and, like Jamie mentioned, Harrison Ford originally wanted his character killed off anyway. Love your speculation about the lightsaber duel. I want to see Luke save the day. Thanks for sharing! I do believe that the planet they plan to build at the Disney parks is Han Solos home planet. Hence the millennium falcon being the focal point, the planet is shown a number of times in the new trailer and one of the key quotes on the trailers is chewy were home. I think the “home” Han is referring to in that quote is the Falcon itself, not any planet. Well we have seen chewys home so why not where Han is from and in the trailer you see Han leading them on that planet. so I think it makes perfect sense that its his home planet. Since Luke is going to turn evil its best they use a Hero’s planet instead of a villain. Are people still thinking Finn is a stormtrooper, instead of in disguise? B/c if not the latter, it goes against established history of the clones. All I know is Finn had better be offspring of or related to Lando. And Billy D had better be in future installments! Jane – even in the time of the original trilogy, most of the storm troopers are no longer clones. Now 30 years later I would doubt there are that many left. So there is no issue with Finn not being a storm trooper because he’s not one of the original clones. It’s been confirmed that Finn’s a stormtrooper.